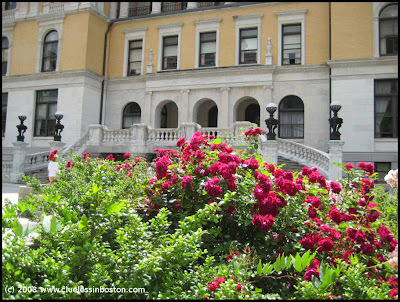 Roses outside the State House's Ashburton Street entrance. When I saw this photo, it reminded me of something I saw in Europe last fall. Very cool. Re: What is it Wednesday. . . . If you're interested, let's start a group, and I'll link on my site. Email me privately. . . It's now or never for the roses pictures!!! they bloom again later on in the summer but the leaves then are sometimes gone..